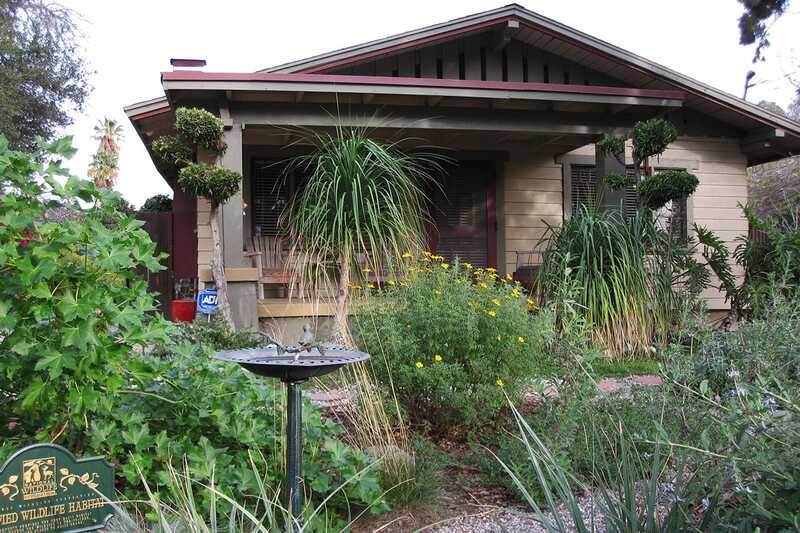 The front yard of this decade old, owner-designed, one-third-acre “eclectic green space” includes drought-tolerant native and non-native plants, a dry streambed beneath an old incense cedar, and a low-care parking strip. 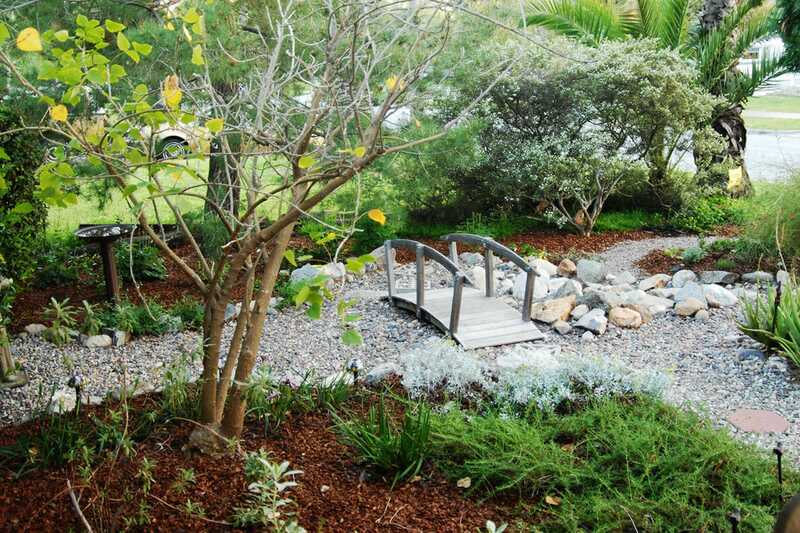 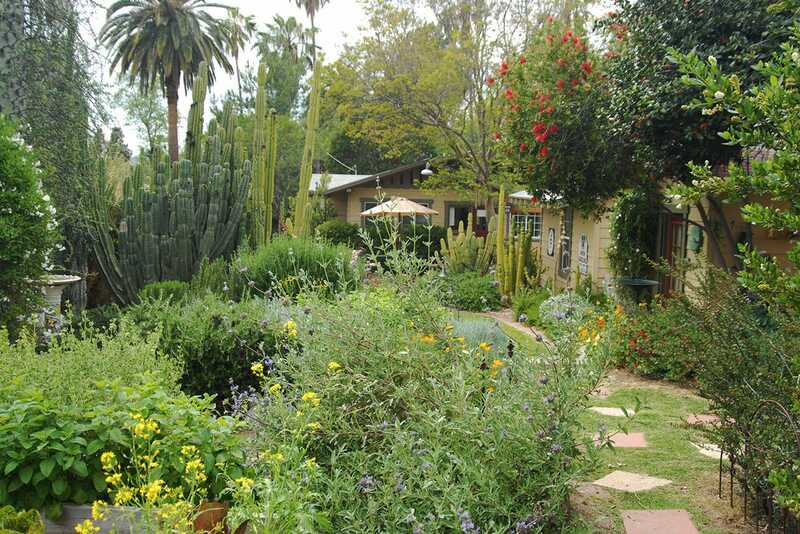 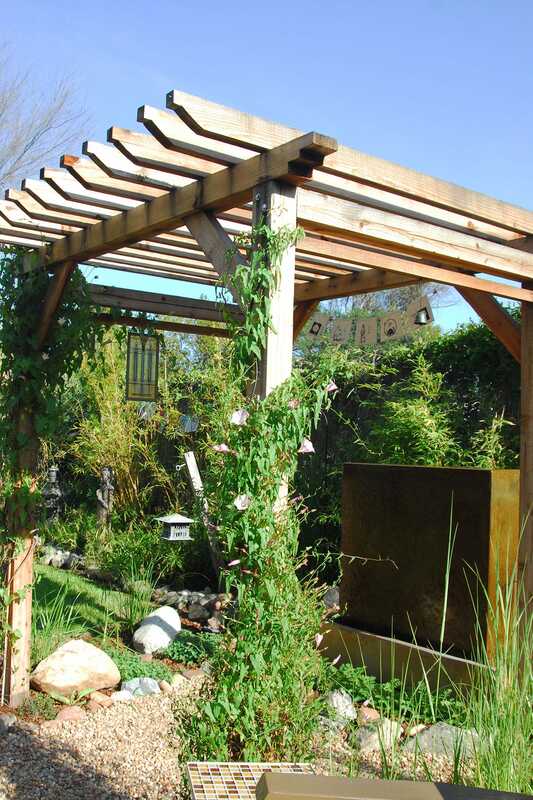 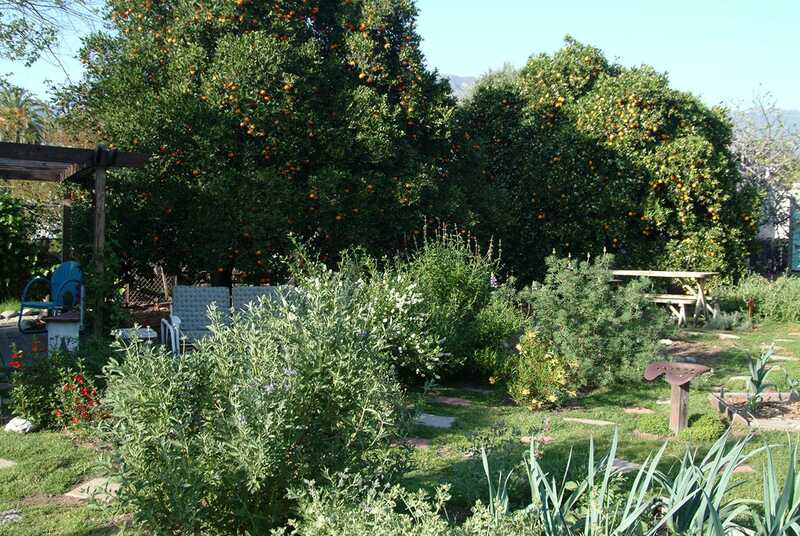 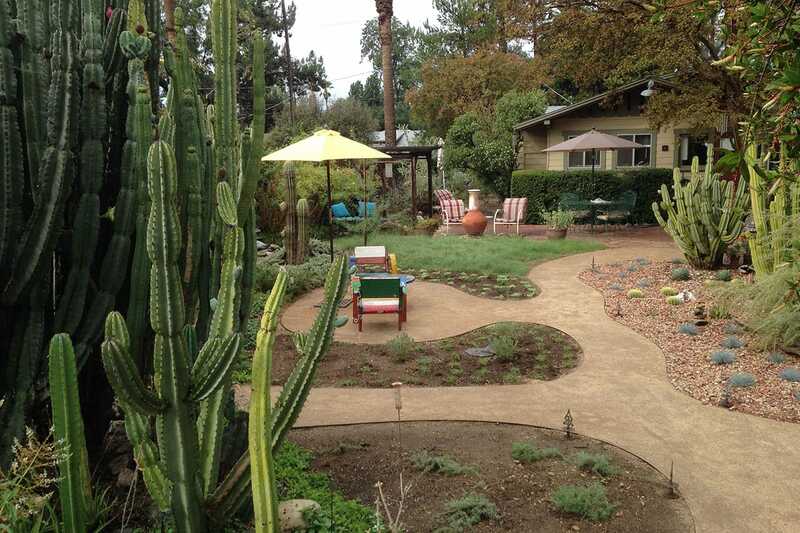 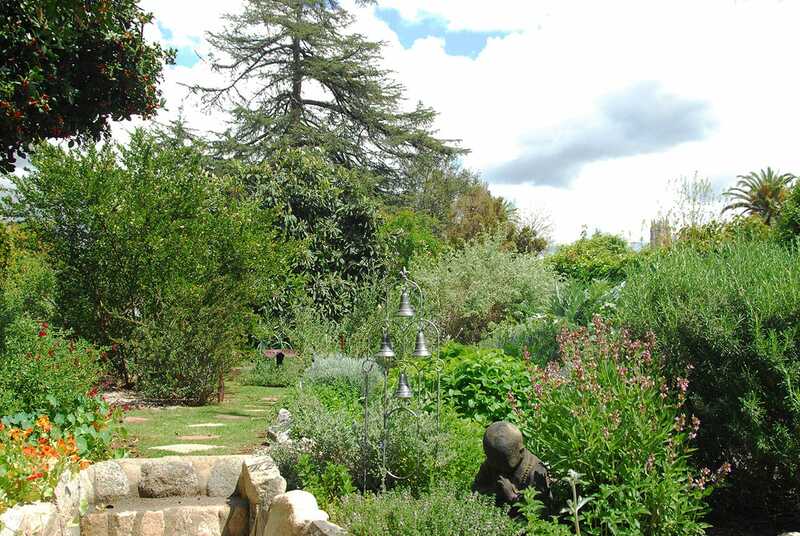 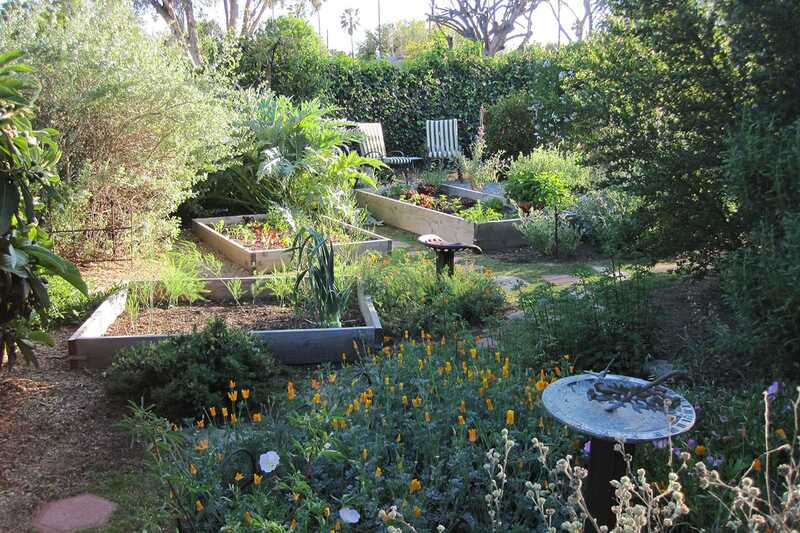 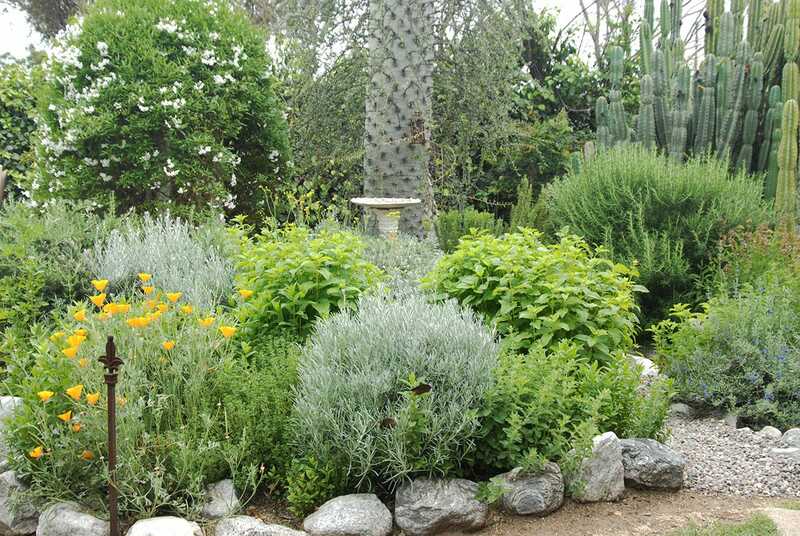 The back yard features a series of outbuildings made from repurposed materials, a thirty-five-foot boojum tree, and newly added pathways that meander around mature cacti and recently planted natives. 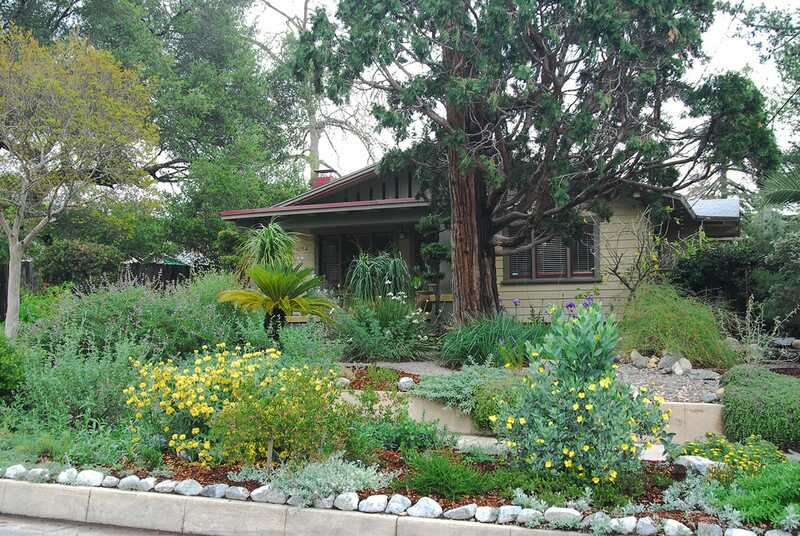 Recipient of Pasadena Beautiful’s Golden Arrow Award and featured in the Fall 2012 issue of American Bungalow.